The Scope Breadcrumb Navigation Bar appears horizontally at the bottom of source code editors. 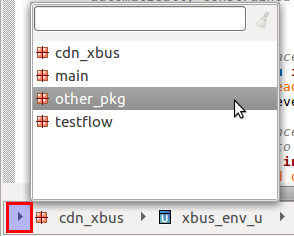 It shows the scope under the editor cursor, along with all its enclosing scopes. It is updated automatically as you move the editor cursor through the source code, or whenever you move around code (for example using hyperlinks or double click in views). Click an element in the breadcrumb to open its definition. Click the arrow to the side of an element to see its members. Use the quick search box to filter the members list. 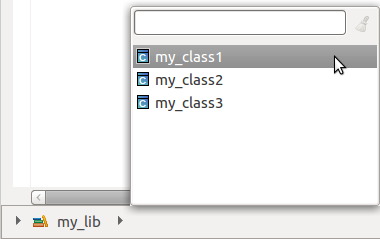 Hover an element to get more information, for example class/module parameters and function return types. 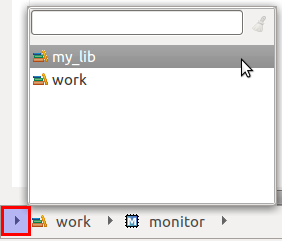 Note: (Verilog and VHDL only) To navigate to members of a different library, click the leftmost arrow, select the library and its list of members will pop up automatically. Note: (e Language and SLN only) To navigate to members of a different package, click the leftmost arrow, select the package and its list of members will pop up automatically. 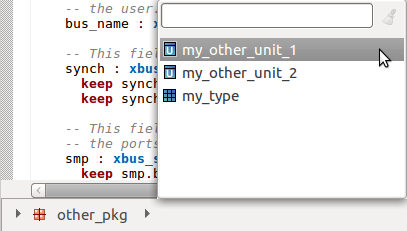 Note: (Verilog and e Language only) The names of elements declared inside macros are prefixed with a hash # sign. 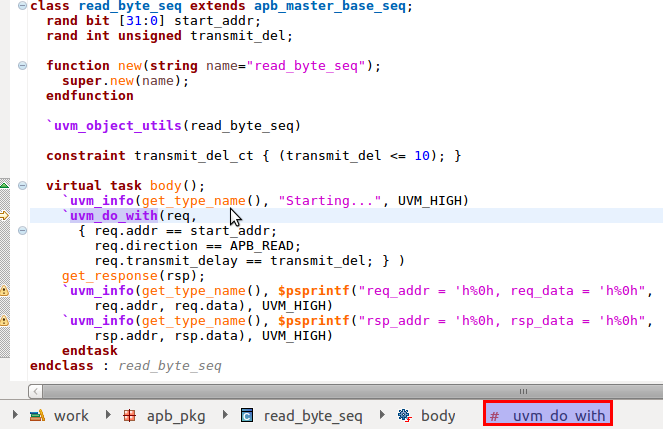 Note: (Verilog and e Language only) When the editor cursor is inside a macro call, a macro call element is appended to the breadcrumb. Click on it to go to the macro declaration.